“This is our wee girl Chloe. My pregnancy with Chloe was a healthy one with no birth complications, she was a healthy baby until when she was five months old, Chloe got her first bout of bronchiolitis which hospitalised her overnight, this would be the first of many hospital admissions and visits for Chloe. She was a little baby wheezing, coughing and rattly – as her mum it was a scary and anxious time. Chloe went on to have recurring episodes of bronchiolitis/viral wheeze – every little snuffle she would be wheezing coughing and struggling for air. Many times it turned into chest infections, resulting in many hospital stays. By seven months old Chloe was given ventolin to help ease her symptoms, at 13 months put on a preventer inhaler (flixotide), and at two years old she received a diagnosis of severe asthma. 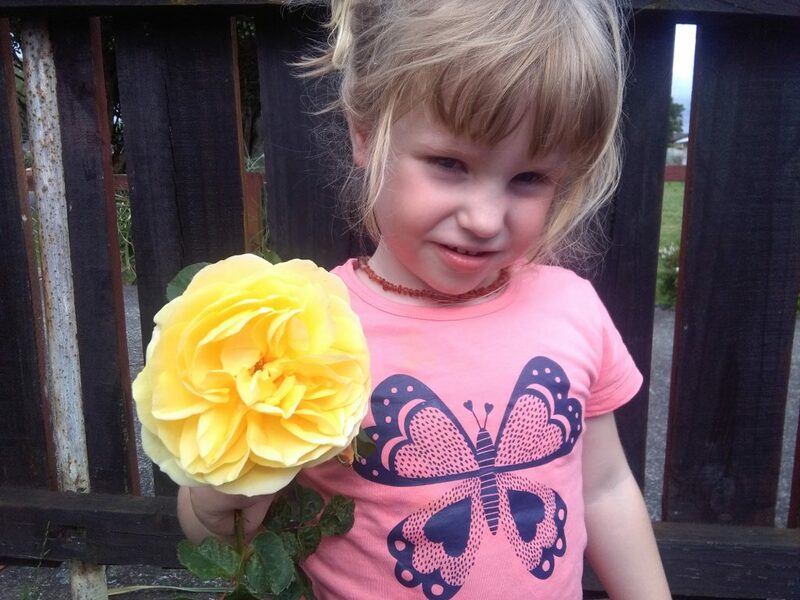 When Chloe was two and a half she become very unwell with high fevers, wheezing, coughing and low oxygen. We spent close to a week in hospital where Chloe returned a positive test for Influenza A. She took weeks to fully recover from this illness, it was awful to see her so ill. In the months following this Chloe was constantly sick with chest infections and chronic asthma, she never got sick with anything else, just respiratory illnesses. As a mum I began to think something just wasn’t right, we had been under paediatrician care for a year already but I needed more answers. She had out of control asthma and was always getting chest infections, it took 12 months of persisting with doctors for a change in preventer to seretide and more hospital admission before finally, in May 2016 Chloe was referred to the respiratory team at Starship, where she was then booked in for a CT scan, bronchoscopy and further investigations. In August 2016 we spent three days in starship hospital where Chloe received a diagnosis of Bronchiectasis affecting both of her lungs. As a family we were flattened by the diagnosis, we didn’t expect it at all. On return to Tauranga our routines were set to change forever. Chloe undergoes daily chest physiotherapy and nebulisers to help clear her lungs and airways of mucus and secretions, antibiotics and sometimes requires two weeks of IV antibiotics if oral ones do not work. Chloe recently spent her 4th birthday in hospital while receiving two weeks of IV antibiotic treatment. Despite everything Chloe is such a happy and fun loving girl, she gets tired quickly and sometimes struggles with prolonged exercise and full on days at preschool. She naps everyday but loves to get out and about. Chloe is a awesome swimmer and has completed two terms of swimming lessons this year which she has done so well. She also participates in Beachkidz, a preschool beach education programme for preschoolers at Papamoa beach in Tauranga where we live. Cure Kids is funding research into bronchiectasis – one study through Auckland University to determine whether antibiotics are necessary to treat bronchiectasis when chest physiotherapy may be effective with viral infections; and secondly which is the most effective antibiotic to use. We are also funding research to help make physiotherapy for children with bronchiectasis more fun, through gamification.